Janssen Clinic for Animals is a full service veterinary facility, emphasizing preventative health care for dogs, cats, rabbits and other small pets. Dr. Janssen is the only veterinarian, which enables him to get to know each of his patients. While we strive to provide the latest services and therapies, we haven't forgotten the importance of personal care. Our competent and energetic staff works as a team to create an atmosphere focused on exceeding expectations. Serving Middleton and West Madison, we are conveniently located at 1624 North High Point Road, just off the West Beltline at Greenway Boulevard. Our stand-alone clinic is just a couple minutes from Stonefield, Blackhawk, High Point and Foxridge. Parking and traffic are never a problem. The clinic is well equipped to handle all of your pets health care needs. From vaccinations to complete medical and surgical services, we help you provide the best care for your best friends. Full radiology and laboratory facilities allow for rapid and accurate diagnostic evaluation of sick patients. ECGs and blood chemistries are instantly available to aid in diagnosis of critically ill pets. Up-to-date surgical and anesthetic equipment enable most surgeries to be done on an outpatient basis. Dental services, including innovative periodontal therapeutics, are also available. To create value for our clients by educating them and providing them with the services they need to best maintain their pets’ health. To relate to them in a personal and caring way. To maintain constant vigilance over our patients’ health and well being as they go through life. To provide the highest quality health care based on each patient’s individual needs. To provide exceptional personalized service that optimizes and respects our clients’ valuable time. To be a neighborhood resource that can be counted on. 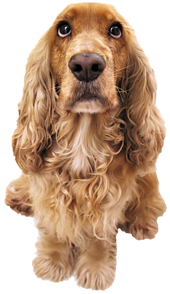 By consistently meeting our mission statement goals we will be recognized as providing the best pet care.